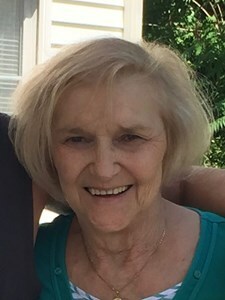 Diane P. Norton, 73, of Liverpool, passed away at home surrounded by her loving family on November 7, 2018. Diane was born in Taylor, Pennsylvania on April 20, 1945 to the late Adam and Margaret Kolveck. Diane retired from North Syracuse Central School District in 2017 after 22 years. Earlier, she worked as a hairdresser for Mark I for many years. She loved Bingo, going to the casino and cooking for her family. She was preceded in death by her Son, Michael Norton, Husband, LeRoy Norton and Brother, Ronald Kolveck. She is survived by her Daughter, Michele (Jerry Fluno) Calcagino; Son, Thomas Norton; Brother, Robert Kolveck; Sisters, Marlene Kolveck, Joann Davis; Grandchildren, Stephen (Kacy) Brink, Robert Calcagino, Gerald (Kristen) Fluno and Joseph (Meagan) Fluno; extended family, Mary (Donald) Taylor, Marie (David) Ryan and Roseanne Ryan. Visitation will take place Saturday, November 10, 2018 from 11 AM to 2 PM at New Comer Cremations & Funerals, N. Syracuse. A funeral service will follow at 2 PM. To share a memory of Diane or leave a special message for the family, please click the Share Memories button above. Add your memories to the guest book of Diane Norton. To all the families touched by Diane-So sorry for your loss-Diane was a great lady. My most sincere condolences. So sorry to see this ,so many great times with Diane,the golden girls laughed until we couldn't breath,she was a good friend and loved to cook lunches for us. She truly loved her family and was so proud of them all. Sending prayers to her family.R.I.P.